When VHS in the UK was at its peak, there were a few classic Hong Kong movies that got released on the format and this was one, retitled Police Assassins 2, I enjoyed the film then and it still holds up well today. 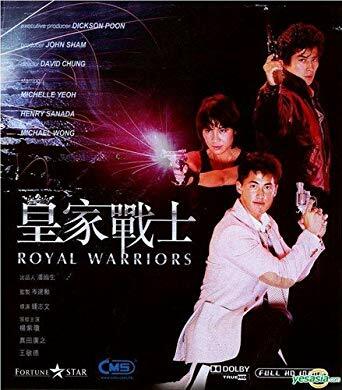 Royal Warriors starred a new actress at the time called Michelle Khan, now known as Michelle Yeoh of course and co-starring the great Japanese martial arts actor Henry Sanada. Michelle Yip (Yeoh) of the Hong Kong police, Michael Wong from air security and Yamamoto, a Japanese cop going to visit his wife and daughter are all on the same flight when they foil a hijacking on the plane whose passengers include the police flying a mob prisoner from Tokyo to Hong Kong. Thanks to there brave efforts the mobster and his would-be rescuer die. This alerts two of their blood brothers who set out to get vengeance at any cost the three cops become the targets. This is 80’s HK Action at its finest and it must be said cheesiest at times. 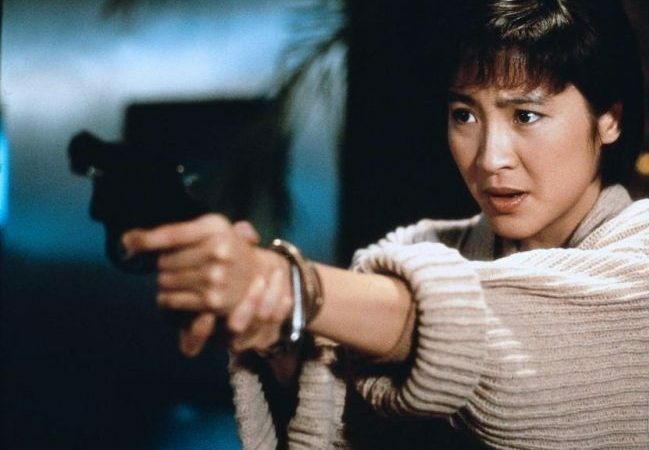 Michelle Yeoh is fabulous and deadly as the HK cop and the action scenes and stunts are very well choreographed, both brutal and exciting. While it has dated it is still worth a watch and is a must-have for fans of fighting female films which were at there peak during this time. 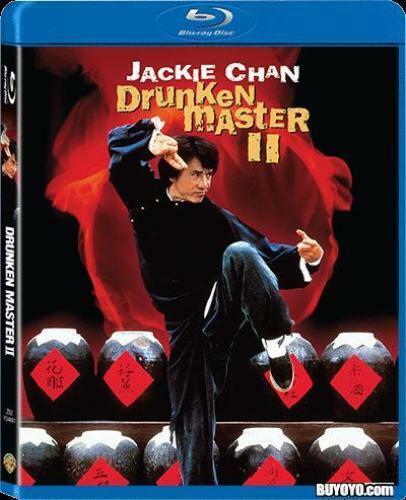 The Blu ray released by Kam & Ronson in Hong Kong is sadly one of the worst Blu ray’s I have ever seen. The quality is terrible and would have a poor time passing as a good DVD. It’s clearly a bad upscale, being grainy with very little detail or colour, even in close up. The sound has been remixed from original mono to 7.1 True Dolby Digital and sounds ok, added sound FX are there but not too intrusive. No extra’s on the disc which is in Cantonese / Mandarin with OK English subtitles. Locked to Region B. If you already have the anamorphic DVD then don’t bother with this but if you have not seen the film pick it up if you can get it cheap. Royal Warriors is yet another disappointing Kam & Ronson Blu ray release of a classic HK Action film.